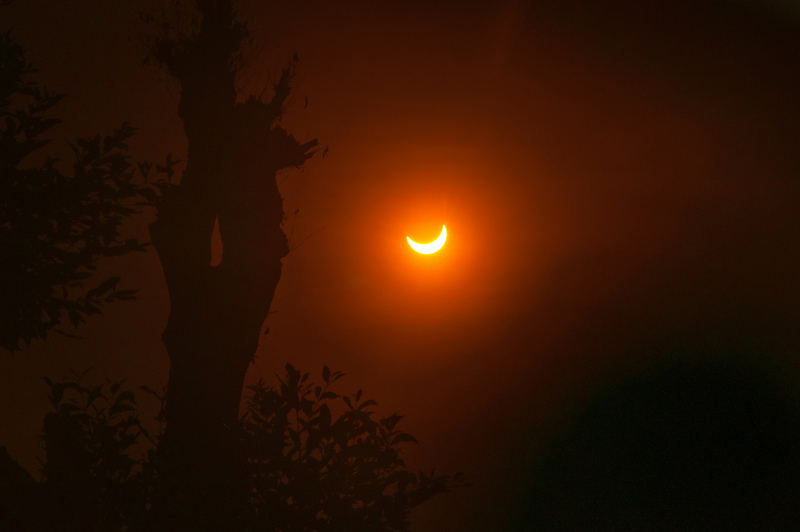 This photo shows the March 2016 solar eclipse as seen from South Tangerang, Indonesia. On Monday, August 21 people across United States will be able to witness a solar eclipse. Viewed from Hiram, the long-awaited event will take place from 1:07 PM – 3:52 PM local time. Hiram College will host a local Eclipse Watch event from its campus lawn along Hayden Street, just north of the Hiram village Post Office (map). The event is open to the public, is free of charge, no reservations required, and visitors may come and go at any time during the eclipse. The Eclipse Watch will feature safe telescope viewing of the Sun, free solar eclipse glasses, and indoor “live” TV viewing of the total solar eclipse from remote locations. The narrow path where the total eclipse will be seen will cross the country from the Pacific Northwest to the Atlantic. The path of totality passes south of Ohio but that doesn’t mean the eclipse won’t be noticed here. While Ohio sits outside the path of totality, we will experience a deep partial solar eclipse. 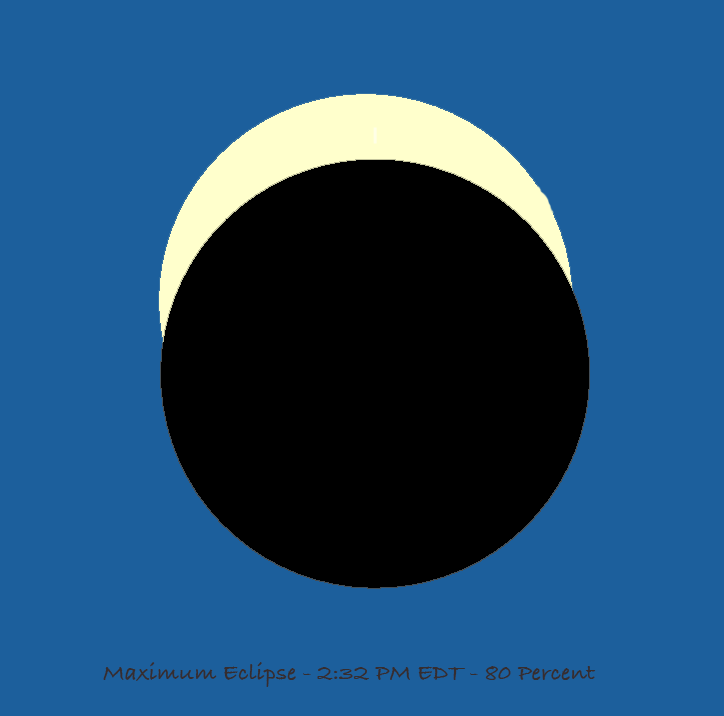 At maximum, 80 percent of the Sun’s disk will be covered (eclipsed) by our Moon, as seen from Northeastern Ohio. Maximum eclipse will be reached at 2:32 PM EDT in our area when the Sun will appear as a brilliant sliver high in the afternoon sky. The eclipse glasses to be provided at the Hiram event are certified safe for viewing the sun. The telescopes we will use for solar observing use several different processes for safe viewing and will offer an interesting perspective on the eclipse event and our nearest star.